As the next Acura NSX edges closer to production, racing fans will get a chance to see the prototype in action on a race course not far from where the car will be built: the Mid-Ohio Sports Car Course. Acura's official Twitter account this morning reports that the NSX prototype will do a lap before the August 4 Mid-Ohio Indy 200 race. You can catch it live that day at 3 p.m. ET on NBC. That should be fun to see on the track. I'm rather excited about the new NSX, which unlike its predecessor, will be built in Ohio. Acura has certainly produced a striking concept. 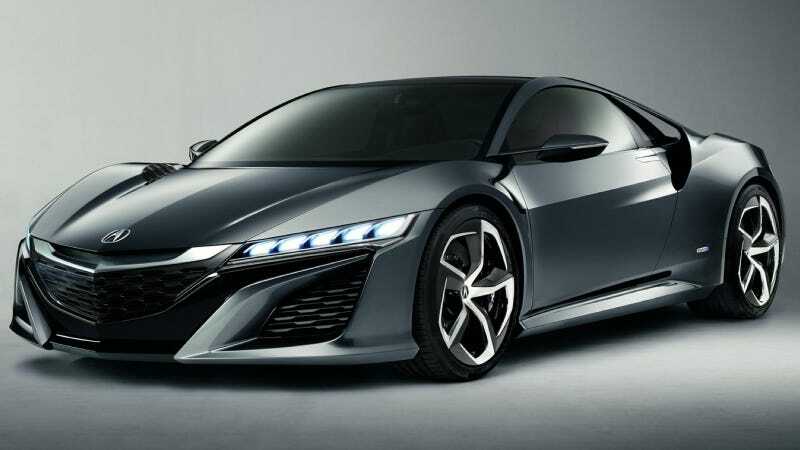 While the new, all-wheel drive V6 hybrid NSX is a markedly different car from its ancestor, my hope is that it will be able to provide similar driving thrills. Acura — and Honda as well — could definitely use a home run at the moment.